The Savage57: ATE it or LOVE it!! ATE it or LOVE it!! ATE IT OR LOVE IT 757 DEBUT PARTY!! 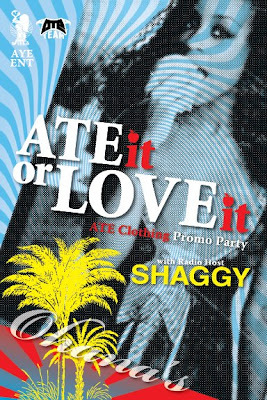 ATE™ Clothing is making its 757 debut in their hometown of VIRGINIA BEACH with its first ever ATE IT OR LOVE IT DEBUT PARTY!! 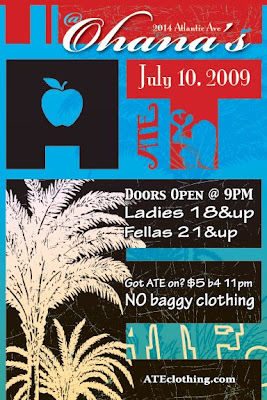 Ohana's Nightclub on Atlantic Ave, is definitely the place to be July 10, 2009 sponsored by A.Y.E Ent and the ATE™ Team.